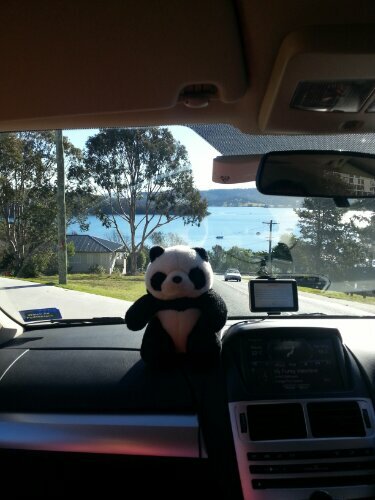 You are here: Home / A Nice Day Out / Road Trip Day 1 – Arriving at Narooma. 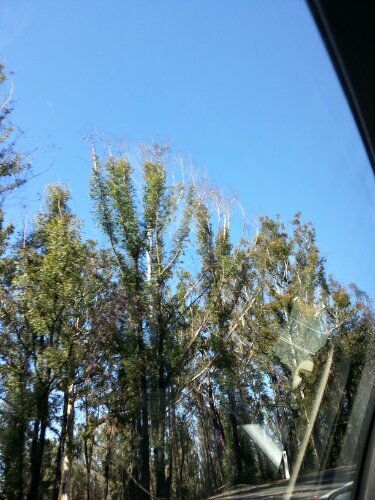 Road trips: Long drives through windy roads. Stopovers. Car naps. Changing scenery. The one downside of road trips is that they begin waaaaaaay too early in the morning. However, that brings about this little tradition we do on all road trips. That is, a fast-food breakfast. After watching Jamie Oliver’s Pink Slime video on Youtube, we opted for Hungry Jack’s instead. LOL! 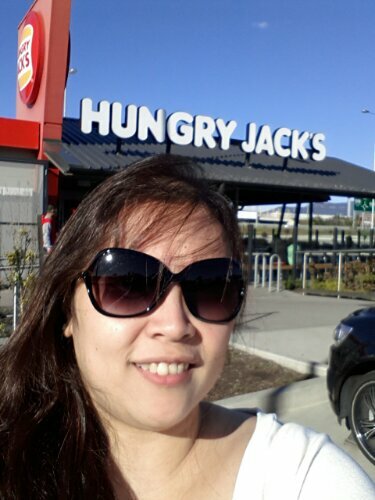 After an hour’s drive, we stopped for brekkie at Hungry Jack’s, Yallah, NSW. And off we went! Our next stop? 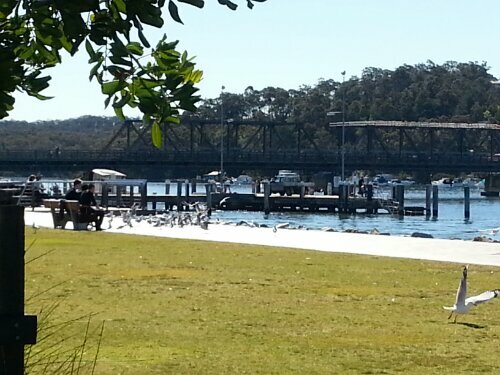 Lunch at Batemans Bay! Lovely countryside full of green! 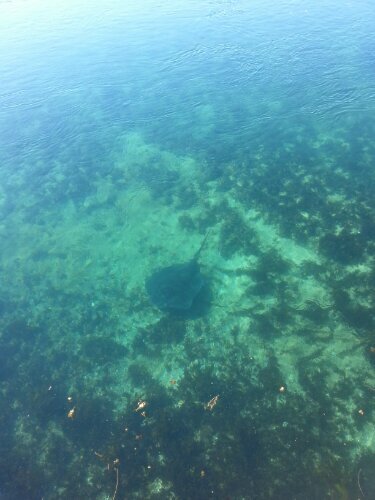 Our first glimpse of the sea! 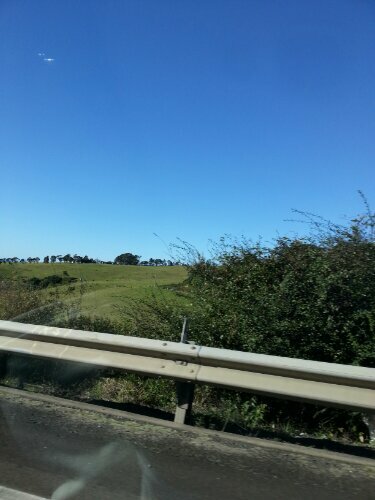 Lots of photographs were hastily taken from the backseat of the car as we zoom past. Sometimes I envy the farmers who have chosen to live by the coast. You basically get the best of both worlds and have million dollar views. Growing up surrounded by awesome Mother Nature beats the daily grind of living in a concrete jungle any day! It really warms my heart to see flora regenerate, especially after something as tragic as forest fires. 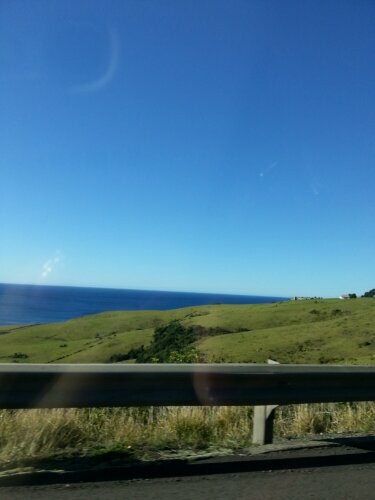 How beautiful is the South Coast!! After a 2.5 hour drive, we were nearing our 2nd stop! 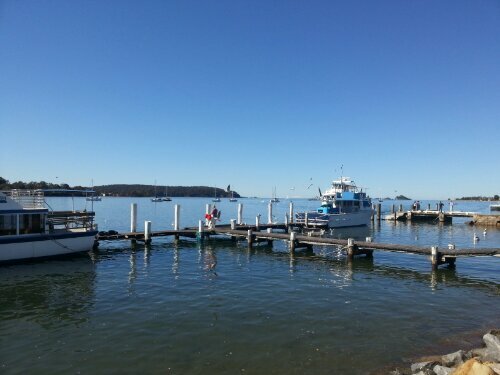 Batemans Bay! 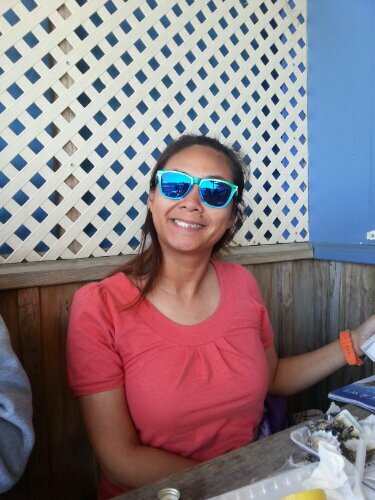 Lunch was at The Boatshed. The gentleman exited The Boatshed with that container full of what I assume were offcuts of seafood as he was fed them to the hungry pelicans. 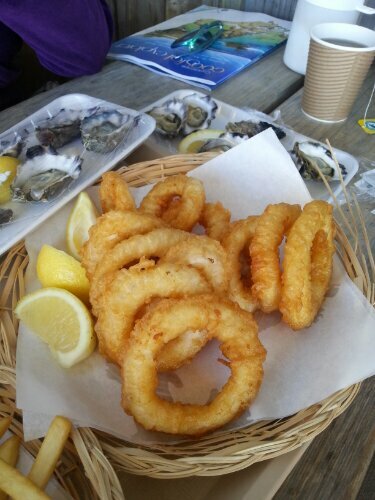 Fish/Calamari Rings/Prawn Cutlets & Chips are not something I’d order while in the city. 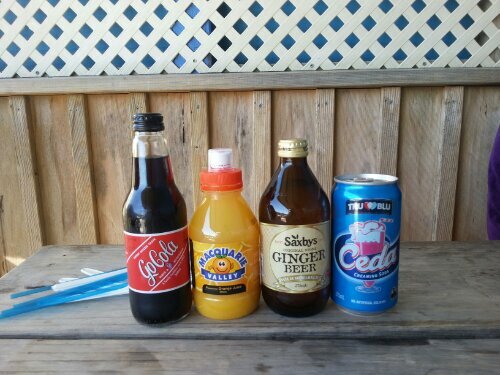 To me, these are more “holiday foods” and only to be indulged in occasionally. Afterall, what is a holiday if you were to eat the same food you eat all the time at home? 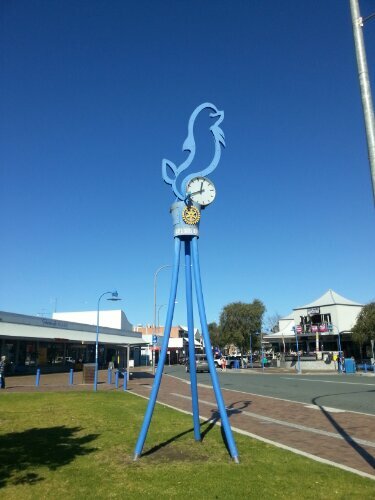 The southern coastal towns of New South Wales are also known for their fresh seafood. We would do them no justice to be there yet choose not to indulge! Brands we’ve never seen before! 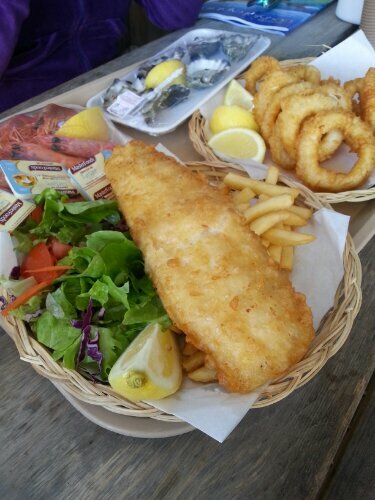 Always wanted to try the English way of eating Fish & Chips! 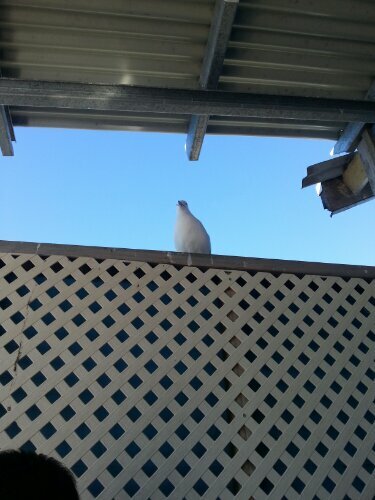 Seagulls spotted!! Can’t wait to swoop down and pick on the scraps! A couple of guys feeding hungry seagulls. 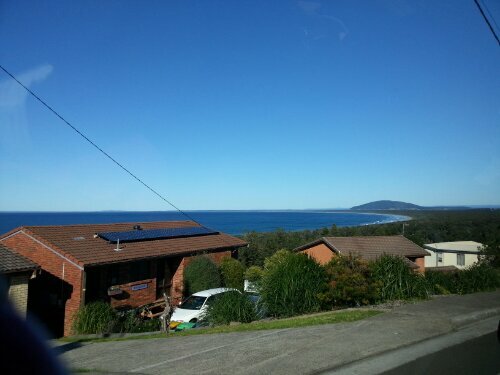 With our tummies filled, we set off towards Narooma! 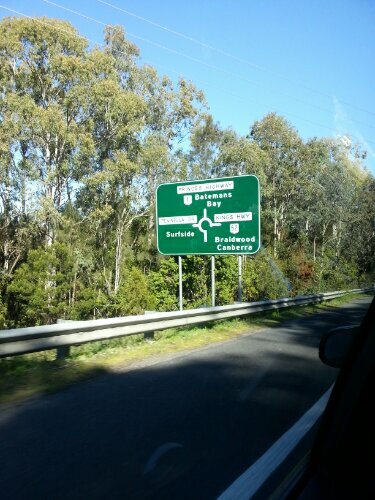 After only 20mins, we approached the town of Moruya where we spotted a sign that said Moruya Markets on Saturday!! Wheeeee! Markets! 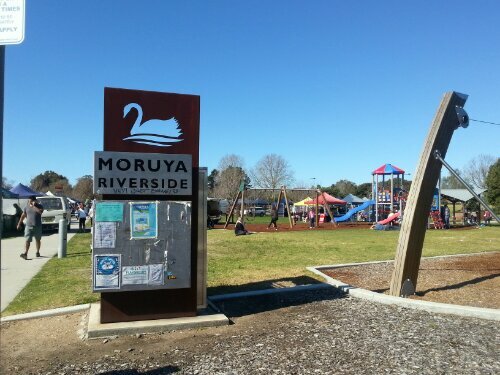 Moruya Country Markets run every Saturday at the Moruya Riverside Park. It was 12.30pm when we got there and stallholders were already packing up. Some had already left for the day. It was only after that I found out they open from 6am to 12.30pm!! 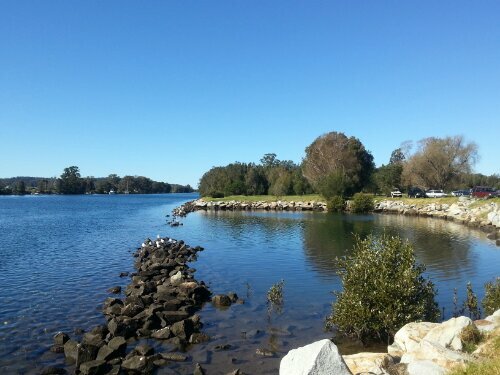 Moruya River – Where the waters are as blue as the skies! 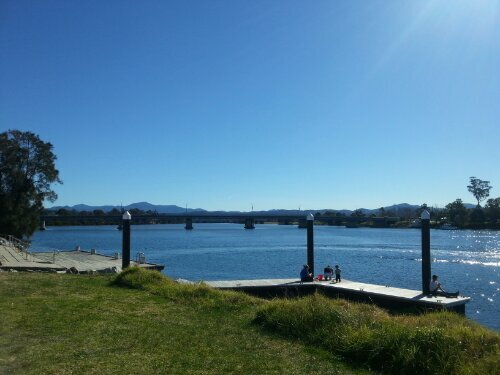 Narooma has always held a soft spot in my heart. 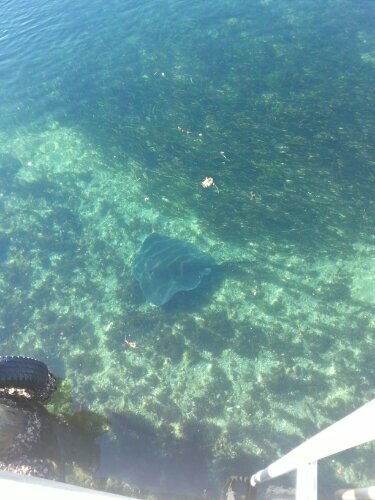 I was filled with wonderment when I saw sting rays swim past right before my eyes for the first time. 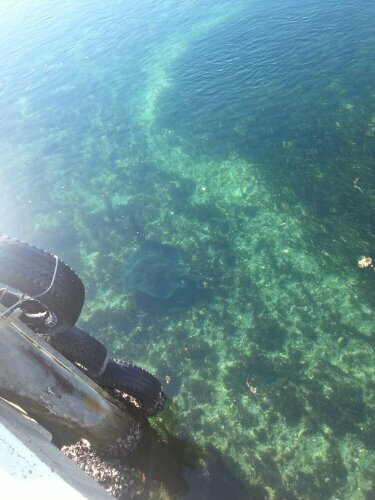 I love casting a line out and watching as fish nibbled on my bait. 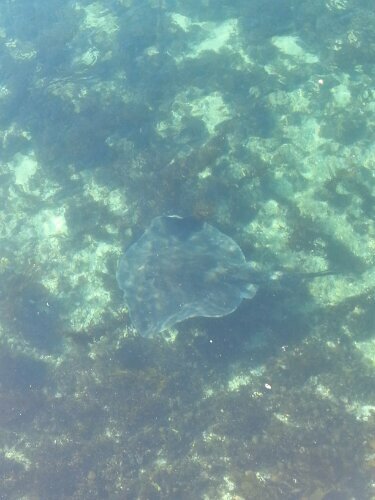 It simply fascinates me to be able to stand on dry land, peer into the water and see what’s at the bottom of the Bay so clearly that it’s as if I was snorkeling! 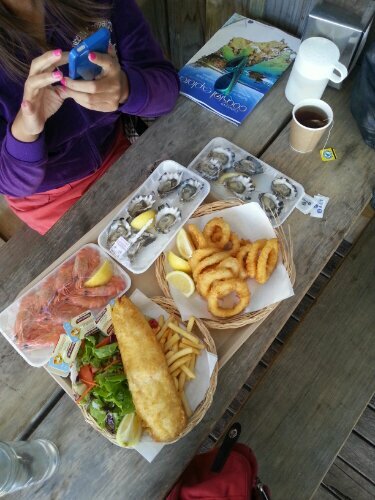 Narooma is only a short 4 hour drive south of Sydney. 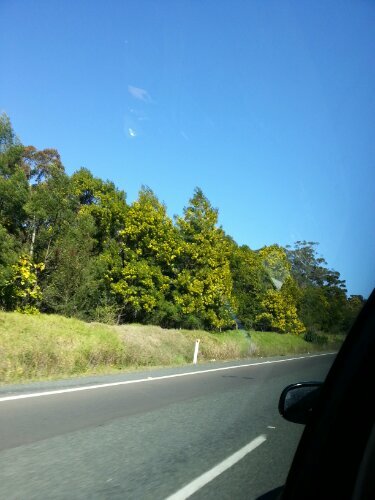 It’s pretty much just straight all the way on the Princes Highway! Easy peasy! 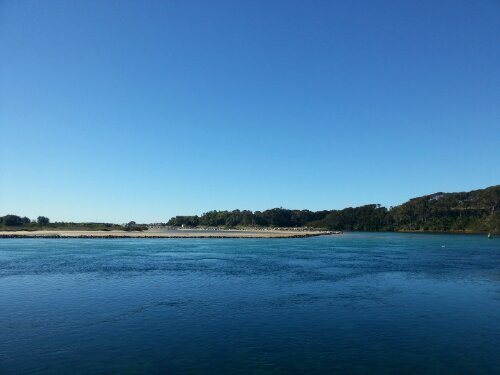 Narooma Palms – Our home away from home for the next few days! This trip was actually a last minute thing. We were lucky that Mummy stumbled on this little gem of a holiday unit. 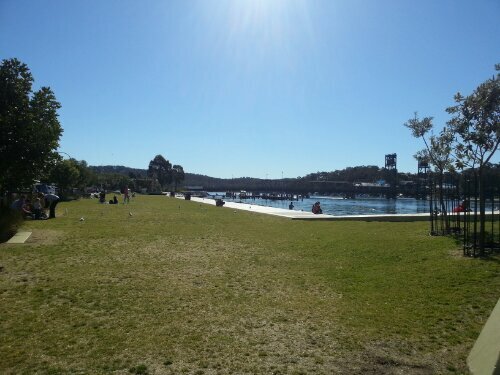 While most others offer free WiFI, Narooma Palms did not. 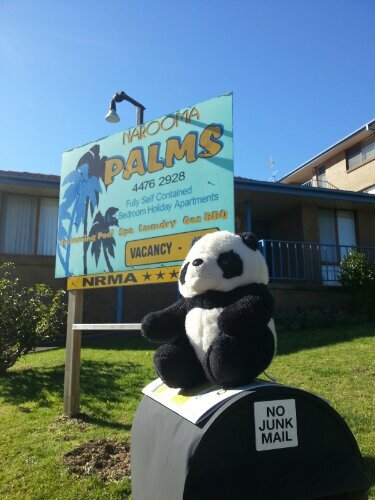 Instead, Narooma Palms was the cheapest 2 bedroom holiday unit we could find that would sleep 4 very comfortably. The unit was entirely self-contained with a working kitchen, a decent sized fridge, a microwave and even pots and pans if you wish to cook. The unit also came with 2 x 2 seater sofas, a dining table, a heater and a queen bed and 2 x single beds. All this for only $115 a night!! You must be wondering why the stuffed panda is sitting on the mailbox. That is MingMing. Small towns, big on trust! 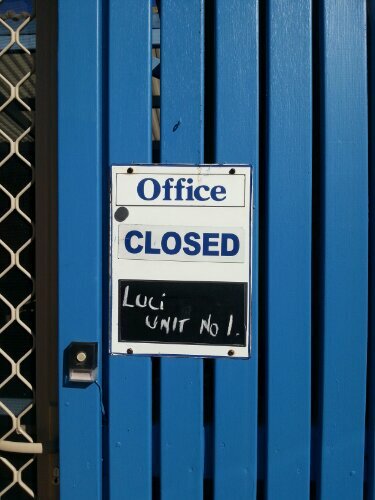 The door was opened at the unit when we got there. We did not even have to register our arrival. 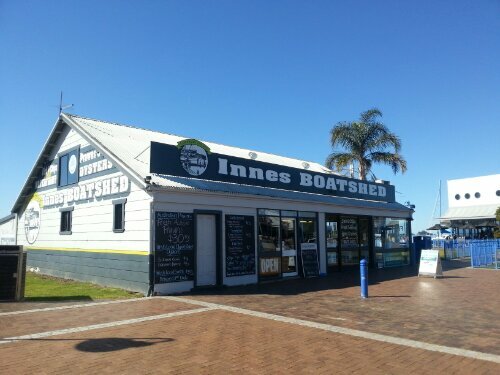 We only spoke with the in-house Manager when we checked out!! How could you not love small towns! 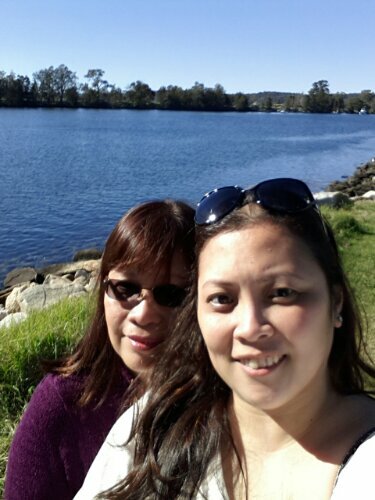 After we set our things down, we decided to explore Narooma a little. 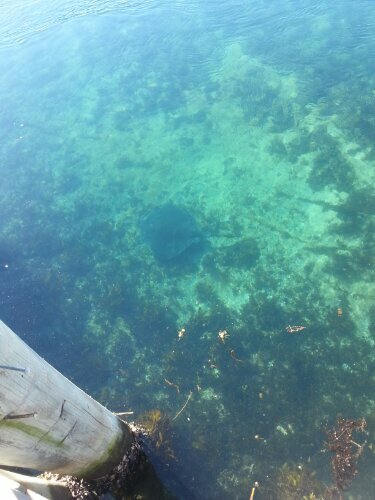 Down at Forsters Bay, we spot the baby resident sting ray. 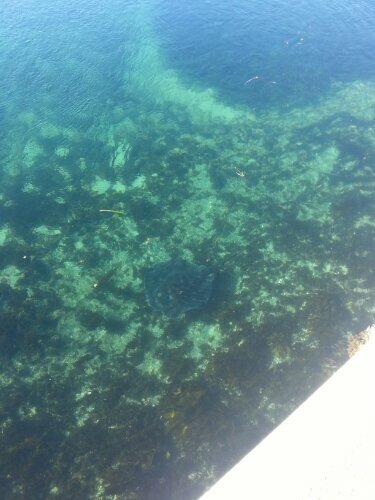 Trying to keep in front of the sting ray! 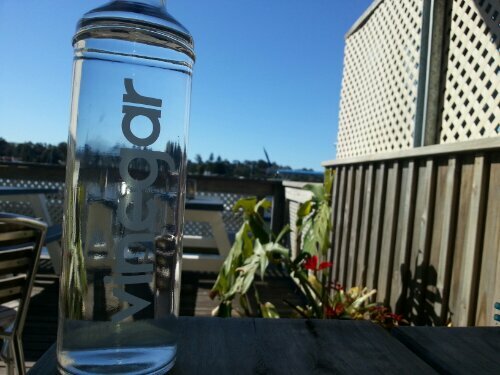 How amazing is that water! 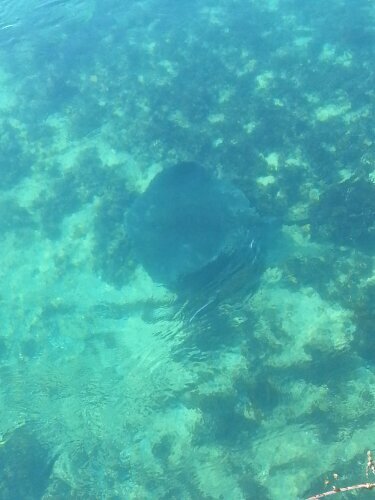 All these photos are as seen with the naked eye and taken with my Samsung Galaxy Note 2. No filters of any kind have been applied. We decided to have a little snack and stumbled on this little noodle place just at the street corner of our unit. Not a bad find at all! 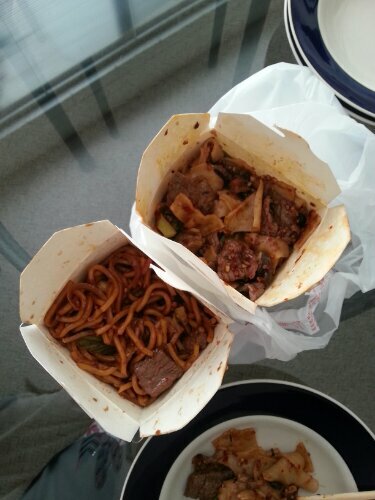 Mongolian Beef Noodles and Beef Noodles with Back Bean Sauce. 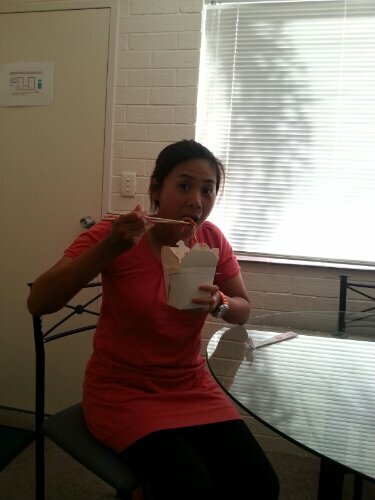 Le Bro’s GF eating noodles from the box. 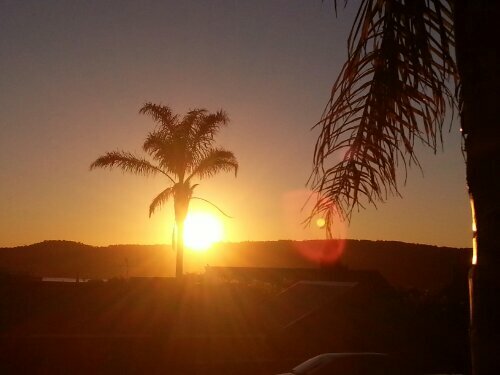 A beautiful sunset, seen from our unit, ends a wonderful Day 1 of our road trip. 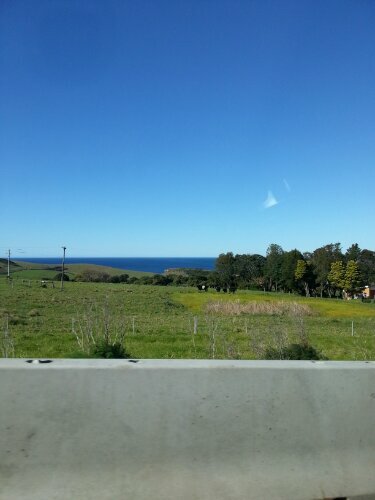 Here’s a map of our drive to Narooma. « Happy 48th Birthday Singapore!